Hungry for a late-night bite to eat after visiting friends and their brand new baby, we headed to Church Brew Works. It came recommended to me by Marissa at The Modern Austen, and Dan remembered that it was a pretty cool place with good pizza. I'm a little obsessed with old historic buildings repurposed for new causes. While it probably started with the old firehouse converted into mansion circa The Real World: Boston, I've always liked the idea of living or working in a historic place. 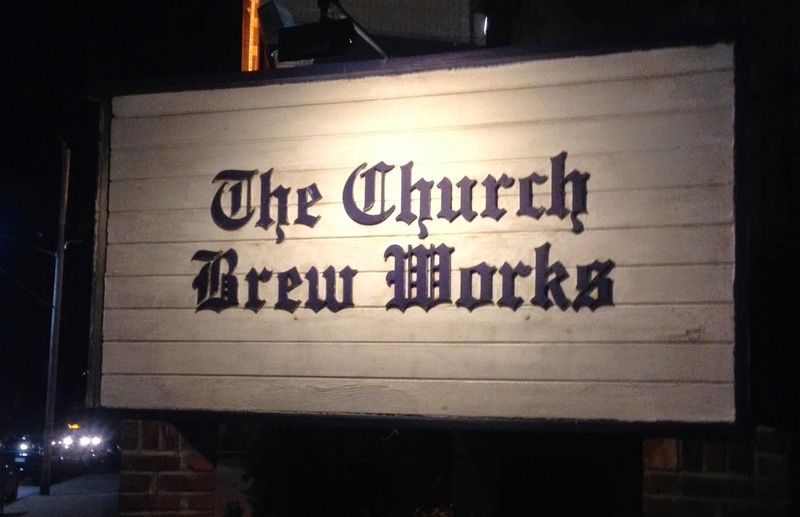 Church Brew Works, as its name implies, is a brewpub in an old church. You're definitely struck by the unique setting when you walk in. While the beer is great, they're also noted for good food. 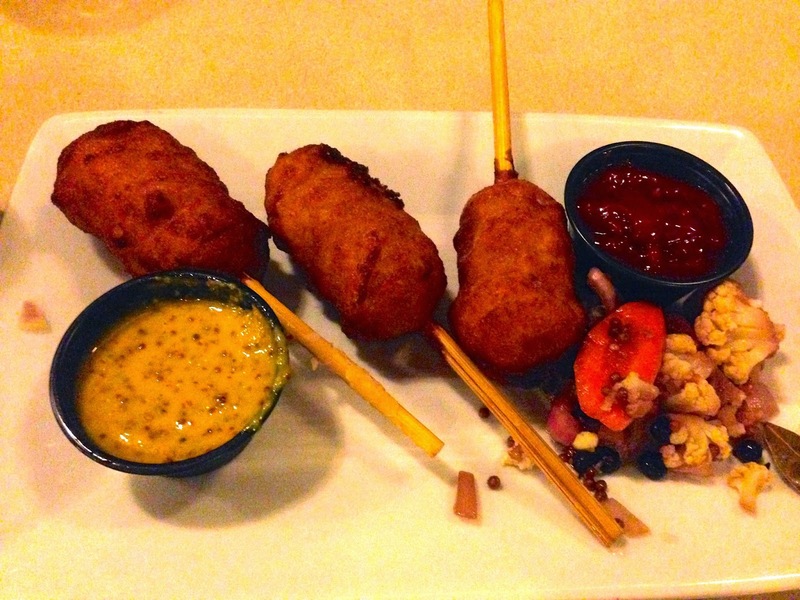 We were starving, so we started with the Bison Corn Dogs, served with honey mustard, pickled veggies, and a chipotle ketchup. They felt like saltier, meatier versions of state fair corn dogs, and I liked the subtle kick from the ketchup. My absolute favorite part of the visit was the brick-oven pizza. We chose the Garden Plum Tomato Pizza, which had garden plum tomato sauce, basil, garlic, olive oil, and some really fresh mozzarella. The whole pizza tasted super fresh, and the ratio of cheese and sauce was spot on. My favorite part was the crust. They are used some beautiful dough here, because it was pretty much my ideal consistency for pizza... chewy, with a fluffy crust! Old historic buildings for the win! There are so many things I'd like to see (and eat) in Pittsburgh!